Exciting News and an Invitation from Karen Reb Rudel and the SIGHT SEEKER'S DELIGHT Paris Walking Tours Team! As you all know, providing engaging, informative, and memorable walking tours in Paris has been my passion since 2005. That Sight Seeker’s Delight has been so successful is the result not only of my wholehearted commitment to demanding personal and professional goals, but also to the profound sense of “family” that has developed between my talented employees and loyal clients. More than a collection of tourists, our SSD family has become a world-wide support system for information and encouragement on a variety of topics. The many friendships that have developed between people who met through SSD is a constant source of delight—as well as a testament to the positive, far-reaching impact our tours have on participants. We are especially honored by—and thankful to—our wonderful SSD clients for their enthusiastic reactions (directly to us, via social media, and on TripAdvisor) to our unique Jewish History Tour of Le Marais. Along with our clients, we have experienced profound awe while walking on the actual cobblestone streets, where for centuries before the 1940 German occupation, Jewish life had been so vibrant. The painful recounting of Nazi atrocities that were essential to the tour, however, created a sadness that never left me—or our SSD clients. As I became aware of the previously unknown stories of the heroic anti-Nazi actions taken by French Jews and Gentiles, I realized that these stories must also be part of our tour. Now, clients, who had only known about the horrors of the Shoah, are surprised to learn that both Jews and Gentiles were actively involved in the French Resistance. The absence of this information prevented an accurate perspective of the Shoah from being recognized. SSD’s Jewish Tour is unique in that we make a point of highlighting the places and people who figured in the anti-Nazi Resistance. SSD has had the privilege of welcoming over 2000 Holocaust survivors and family members on the Jewish Tour, and we all have benefited from the personal stories that clients have shared on our tours. It is clear that there is a strong interest in Resistance actions. As a result of this interest, we began to explore the possibility of developing a special project devoted to French Jewish and Gentile Resistance to the Nazis. We began by conducting a Survey of Client Interest via our newsletter, and we were encouraged by the overwhelmingly positive responses encouraged us to proceed with this project. After several months of research and planning, we are excited to share our proposal with you, and we invite you to help us bring it to fruition! ● A French Resistance Tour of Paris and surrounding areas (on foot and via public/private transportation), highlighting specific areas and people that were important during the Resistance. Information provided will be based on the testimonies of local surviving members of the Resistance and their families; recently translated archival testimonies from Le Musee de la Shoah Memorial, input from synagogues, and other Jewish organizations, as well as from American Holocaust Educator and Author, Joanne D. Gilbert, M.Ed (“WOMEN OF VALOR: Polish Resisters to the Third Reich,” 2nd Edition—2018; and “WOMEN OF VALOR: German, French, and Dutch Resisters to the Third Reich,” Coming Summer 2019). - In August 2018, Author Joanne Gilbert and I visited the small village of Le Chambon sur Lignon in south central France. This village was responsible for a “Conspiracy of Goodness” in which approximately 5,000 Jews were saved from the Nazis. We were thrilled to be given a private tour of the new "Lieu de Mémoire"—a Place of Memory” Museum, by Deputy Mayor, Denise Vallant. Mayor Eliane Wauquiez-Motte, who was instrumental in the creation of the museum, graciously joined us for much of the tour, providing rare insights into the lives of the people who saved thousands of Jews. A similar, personalized trip would be made available to SSD Resistance Tour clients. - Meetings/Conversations with experts, and key locals and who were involved in or whose relatives/friends were active in the Resistance, for example, French-Jewish resistance fighter Frida Wattenberg. - As part of our commitment to education, SSD will create partnerships with and provide information, materials, and speakers to schools, as well as community and religious groups. Dear Folks, the fact that I get to “follow my passion” while providing meaningful services to the public, is a blessing.The challenge of our one-of-a-kind French Anti-Nazi Resistance Tour is that it will require funding beyond the capacity of SSD. Start-up costs for staffing, research, development, travel, project implementation, and maintenance are estimated to be €30,000. We have already committed substantial time, energy, and our own money for the preliminary feasibility study. Except for funding, the elements are in place—with your help, we can begin immediately. This is an especially time sensitive project, as sadly, many of the survivors and resisters are at such an age where they may leave us before we are able to get the undocumented stories from them. There have been a handful of books written on the French resistance in English, however there are many stories that we have been finding, that have remained untold. I hope you will agree that this important project is worth supporting financially. We hope to raise €30,000.00 by December 31, 2018. We would love to have this tour operating by Spring 2019. Please don’t hesitate to contact us with questions and comments! Our tour leader, Karen, met us in the Place des Vosges and what a fabulous place for meeting. An elegant square surrounded by trees, children playing in the sand area and people sitting and chatting in the colonnades facing the place. Karen is a fabulous guide, she provides humorous and juicy snippets of history as well as the solid story. Every street we passed along had a unique story that she shared with the group. We were taken into secret gardens, private passages and busy byways. During our walk Karen unravelled the story of the Jewish Marais, the personalities, the events that occurred over many centuries, the energy and enterprise of the people of the arrondissement. Karen presents the story with compassion, realism and humour. One place that I felt incredibly privileged to visit was the Synagogue. It’s stories and sanctity had me spellbound. Karen provided many opportunities during the walk for photo moments. Lunch was a very lively affair at a well known kosher bistro. Conversation rocked around the table and we had known each other for 2.5 hours. Karen’s knowledge of the Marais has been well researched through study and discussions with scholars and community leaders. I feel that a door into my understanding of the Paris of the past 2 hundred years or so has opened wider. Jewish History of Le Marais Tour, TRULY OUTSTANDING! At recommendation of friends, I booked Sight Seeker's Walking Tour highlighting the Jewish History of Le Marais. Our group was quite diverse and included a large percentage of non-Jews, including myself. Karen? What can I say other than she was absolutely delightful, extremely knowledgeable, with lots of wit thrown in the mix. Despite being a fairly dismal day, by Paris standards, with lots of rain, I could not have found a better way to spend part of my day!! Jewish Tour of Le Marais! Amazing! My wife and I went on the Jewish History tour of Le Marais led by Karen. We had an incredible time. We were in a small group which made the experience even better. We learned the historical side of the community and their contemporary reality. Karen was very funny but also very respectful when speaking about the Shoah. I would highly recommend this tour to Jewish people and people that are interested in history. This is a must-do in Paris! We also did the Jewish History of Le Marais tour with Karen which was fantastic and so thorough and interesting. Both tour guides were engaging and entertaining and kept my three kids (16, 13, 8) happy and interested. In fact, they loved both tours and said they were the highlights of the trip for them! I can't wait to go back and book more tours with Sight Seeker's! This was honestly one of the top three highlights of my trip to Paris. Our tour guide Emma was fabulous. She was smart, thoughtful, captivating, and appropriately funny. After the tour, I felt a completely different connection to the city and to myself. I will be definitely recommending this tour to friends, and I wish I had done other Sight Seekers tour during my time in Paris. My whole family enjoyed our time in the Marais with Steph. She put the history of the area and the Jews there in context with the history of Paris. She wove in harsh realities and funny stories from past and present, and she engaged both the young kids and the adults on our tour. The whole gang at Sight Seeker’s was terrific from easy booking, advice during our time in Paris and patience when I owed a "balance due" (sorry about that guys). Our tour was definitely money well spent to add a different dimension to our Paris adventure. Karen provided a delightful and informative tour of the center of Jewish Paris. The multitude of positive reviews attest to the quality of her heartfelt commentary. I'll certainly recommend her to anyone I know who plans to visit Paris. The highlight was a period of time sitting in a small synagogue during her overview of the history of Jews in France. Lunch with our small group at L'As du Falafel was also a treat. I took the Jewish history tour in Le Marais and it was great! I've been living in Paris for a little while, so it was great to rediscover the city in a new perspective. We were able to go into a synagogue and skip the line at the most popular falafel place in Le Marais which was awesome! Karen was very knowledgeable and saw parts of Le Marais that I hadn't seen before then. I didn't realize how rich French history was in this aspect; it goes beyond just WWII and this tour shows how Paris and France strive to keep this pieces of history and well-known. Karen was especially great in telling all of this history in such an animated way; I'm surprised by how much I remember and how interesting it was-- and her jokes are great too! The history is great, the locations are cool, and the falafel is really good! 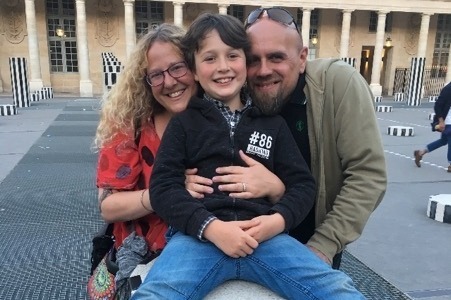 My daughter and I took a wonderful Jewish-themed tour of the Marais with Karen, who shared her extensive understanding of Jewish history in France. From the Middle Ages, through the deportations and efforts of the Resistance during the Second World War, to Jewish life today, Karen's passion for the subject was evident throughout. We would definitely recommend this fascinating tour very highly. Karen, owner of Sight Seeker's Delight street walking tours is HILARIOUS & KNOWLEDGEABLE; two great qualities to share when discovering new neighborhoods and reliving tales of history. Her Jewish quarter tour is both an homage and an educational summary of the sorrowful events that took place here during WWII and before. Difficult memories told with sensitivity and humor, highly appreciated by her captivated tour group. Savor Paris and all its glory and history with Karen and laugh a ton while you walk! She's simply the best. There are not enough words to say how wonderful this tour was. This is a small company with exceptionally knowledgeable guides. Stephanie met us as promised and began our tour with the history of the area. As a group of 5 (they do not take large groups) you have an intimate conversation about the life and times of the Jewish people. Our tour continued with a tour of a "tiny" synagogue and off to a delicious meal at Las du Falafel. This place is impossible to get into but Stephanie got us a table immediately. Our tour ended at the Jewish Museum. A big thank you! 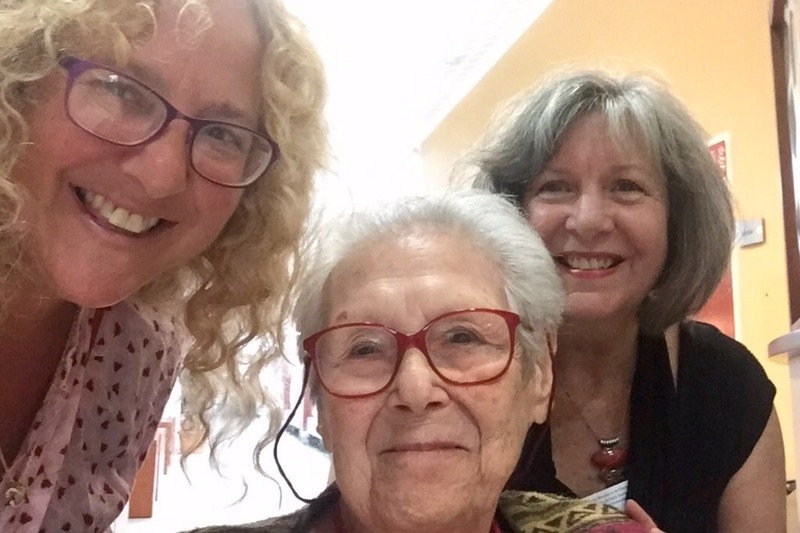 Myself, Rolande Lombard (Rolande's parents had a hotel in Le Chambon sur Lignon where they hid Jews during WWII), and Joanne Gilbert. George Loigner, former French Resistance fighter, who is responsible for saving hundreds of Jewish children during WWII. 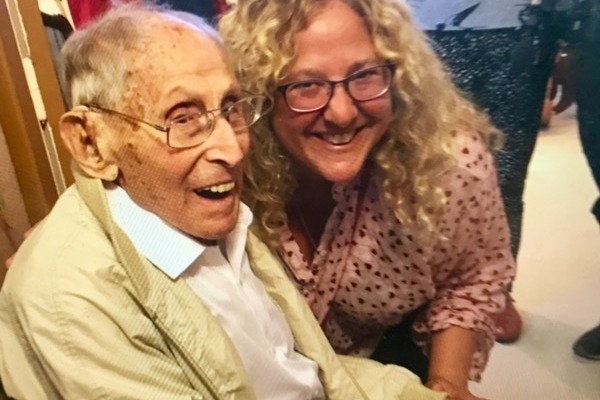 I had the honor of attending his 108th birthday party with Joanne Gilbert this summer. 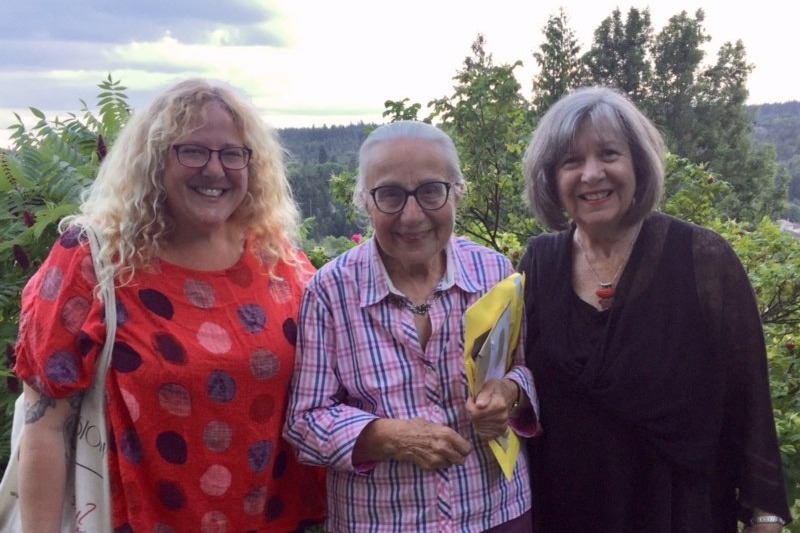 Myself, Frida Wattenberg, and Joanne Gilbert this summer, before escorting her to George's 108th birthday party this summer. Thank you for being part of the SSD Family! PS: Once the Resistance tour is self-sustaining, SSD will donate 2% of funds received to the Musee de la Shoah in Paris. We are having such an amazing experience with this project.. I just met a woman who was saved as a 3 yr old whose parents were taken from her.. she was luckily at her neighbors.... then hidden and moved around for many yrs.. the stories are unfolding before our very eyes.. thanks so much to everyone who has donated so far.. we are soft launching in May THANKS TO YOU ALL!!! Much more development in the works and every Euro, Dollar, etc counts for the dedicated reasearch hours..